I am thrilled to announce that through the Prose and Cons Giveback we raised $5,043 for the Landing Food Pantry in Akron, Ohio. 4,852 copies of the novel sold before 12.20.16, and as promised, I made a $1 donation to the Landing for every copy sold before that date. The additional $191 was made up from direct donations from the Learned Owl and Goodyear Heights Baptist Church. Thank you so much for purchasing the book and helping others. It seems every year is a year of change, and that was certainly the case for me this year. However, 2016 was also an incredible year for my writing. Andi Unstoppable won the Agatha Award for Best Children’s/YA Mystery. I was one of the featured author at the 20th annual Ohioana Book Festival. I released four novels (Crime and Poetry; The Final Tap; Murder, Handcrafted, and Prose and Cons). Crime and Poetry was name one of the Best Cozy Mysteries of 2016 by Suspense Magazine. Crime and Poetry hit the Barnes and Nobel and Indiebound Bestsellers lists, and Prose and Cons hit the Barnes and Nobel Bestsellers list. Prose and Cons was my twentieth published book, a dream that would never have even occurred to me as a little girl who just wanted to see one book with her name on it in the library. It’s been an incredible year because I have the support of incredible readers. I could never thank you enough. Happy New Year! Wishing you all the very best in 2017! There’s still time to take part in the PROSE AND CONS GIVEBACK. Watch the video about the Landing HERE! Buy A Mystery and Help Feed A Community! I will donate $1 for every copy of PROSE AND CONS sold by December 20th 2016 to a local food pantry, The Landing, in Akron, Ohio. The Learned Owl will be donating an additional $1 for every copy of Prose and Cons it sells to the Landing. Learn more HERE! October in Cascade Springs means tourists are pouring in for the annual Food and Wine Festival, and Daisy hopes to draw those crowds to the store. She asks Violet and the local writing group, the Red Inkers, to give a reading of the works of Edgar Allan Poe in the shop’s back garden to entertain the revelers. Everyone eagerly agrees. Chance to WIN $25 bookstore gift card & giveback! Six years, twenty published books. It’s a staggering statistic when I take a breath and really think about it, but that’s been my life for the last six years. I’m just so grateful because I know I’m living my version of fairy tale. I’ve been lucky. I’ve been blessed. I’ve worked incredibly hard. But I wouldn’t be where I am without the kindness of others. My agent, my family, my friends, my editors, and my readers have all been on this incredible journey with me, and in honor of all those people, in honor of you, I’m giving back to a local food pantry with the release of my twentieth novel, Prose and Cons. I hope you will join me! Pre-order or purchase any edition of Prose and Cons book, between now and Tuesday, December 20, 2016, and I will donate $1 for every book sold to a local food pantry, The Landing, located in Akron, Ohio. The Learned Owl will be donating $1 to the Landing food pantry for every copy of Prose and Cons sold before or at my book signing there on December 10th in addition to the $1 that I will donating to the Landing for every copy of Prose and Cons sold by every bookseller by December 20th. For those of you who cannot make the signing, the Learned Owl is also selling PERSONALIZED AND SIGNED copies on the novel. They can ship anywhere. Buy a mystery and help feed a community! MAID OF MURDER 5th Anniversary Giveback Thank you! Thank you to everyone who participated in the Maid of Murder 5th Anniversary Giveback by buying an e-copy of Maid or Murder and/or Murder in a Basket between June 1st 2015 and September 1, 2015. Because you did this, we were able to raise $325.25 for The Charitable Pharmacy of Central Ohio! This money will be used to support the mission of the pharmacy and provide medications to people living in the Columbus, Ohio area who are not able to afford them otherwise. I can’t tell you how grateful I am to each and everyone of you! Thanks from the bottom of my heart! MAID OF MURDER 5th Anniversary Giveback! June 16, 2010 was a monumental day in my life. It was the release day of Maid of Murder, my very first mys tery novel. The book went on to be nominated for an Agatha Award for Best First Novel, attracted the attention of the world’s best literary agent, and led to the release of twelve more novels over the next five years. I can never express how grateful I am for that day and everything that came after because of it. When I was a little girl I wanted one published novel with my name on it. Nothing more, nothing less. It has become so much more, and every day there is a new surprise, which leaves me humbly thanking God for every blessing and challenge it brings. 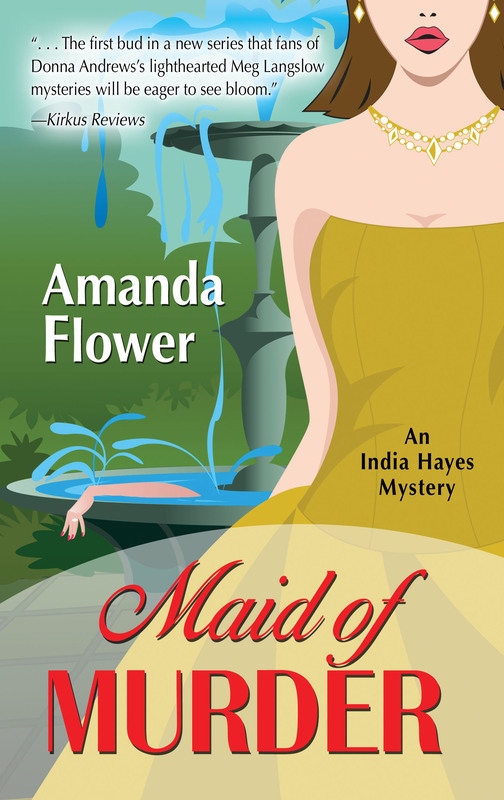 To celebrate the fifth anniversary of this great day, I have decided to donate all of the royalties that I earn June 1, 2015-September 1, 2015 from the two novels in the India Hayes Mystery Series, Maid of Murder and Murder in a Basket, to charity. There is no better way to celebrate my 5th anniversary as a published author. After the great success of The A Plain Malice Giveback last fall, I have chosen another local charity close to my heart, The Charitable Pharmacy of Central Ohio. My dear friend Mariellyn Dunlap Grace, who has been with me every step of the way through my writing/publishing roller coaster, works for the ministry as Patient Services Coordinator. The Charitable Pharmacy of Central Ohio provides free medications to low-income, uninsured, and under-insured residents of Franklin County, OH. 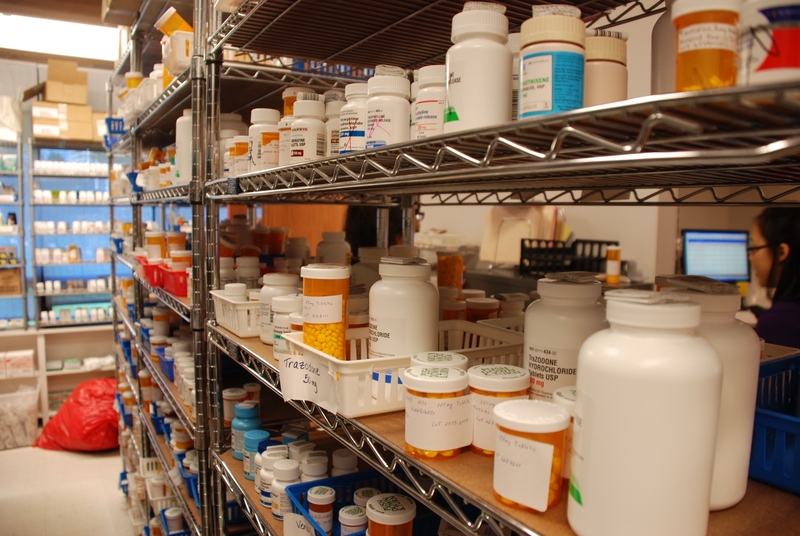 Since opening on February 26, 2010, the Charitable Pharmacy has served 4,250 patients and dispensed over 200,000 prescriptions valued at more than $17 million. All the money raised will go to this worthy cause. Please watch this video to learn more about the pharmacy or visit their website for more information. The cost of all ebook editions of both novels is $1.99! 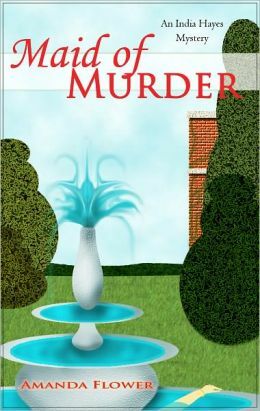 Order Kindle of Maid of Murder HERE! Order Kindle of Murder in a Basket HERE! Order Nook of Maid of Murder HERE! 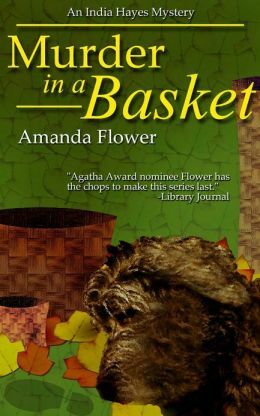 Order Nook of Murder in a Basket HERE! Buy a mystery and care for a community! And as always thank you for reading! Share the news with a pre-made tweet! Finally, it’s here! The book you’ve been waiting for! 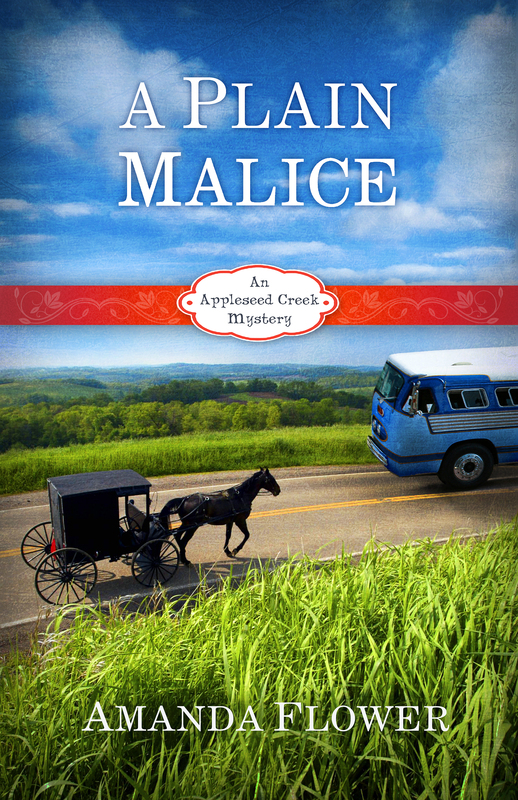 After months of ups and downs, A Plain Malice, the fourth and final novel in the Appleseed Creek Mystery Series is set to release. It’s been quite a journey to see this book in print, and I would have given up if it hadn’t been for the encouragement of you, the readers. Since I’ve always considered this novel a gift to my readers, I have decided to donate all of my royalties for the novel that I earn through Thanksgiving Day to charity. Preorder or purchase any edition of A Plain Malice between now and Thursday, November 27, 2014, and 100% of my royalties will go to a local food pantry, The Landing, located in Akron, Ohio. My brother and sister-in-law, Andrew and Nicole Flower, manage the Landing in the basement of Akron Christian Reformed Church with a group of dedicated volunteers. The food pantry feeds over sixty families in the church’s neighborhood on $200 per week. You can learn more about the Landing in this article and video recently published in the Akronist. The Kindle and Nook edition released on September 16th. September 16th is a special day for me because it’s my mother’s birthday, and I can’t think of a better way to honor her memory than to release A Plain Malice on her birthday. She read it before she passed away and said it was her favorite of all of my books. Buy a mystery and help feed a community! And as always thank you for reading! I hope A Plain Malice brings a smile to your face.